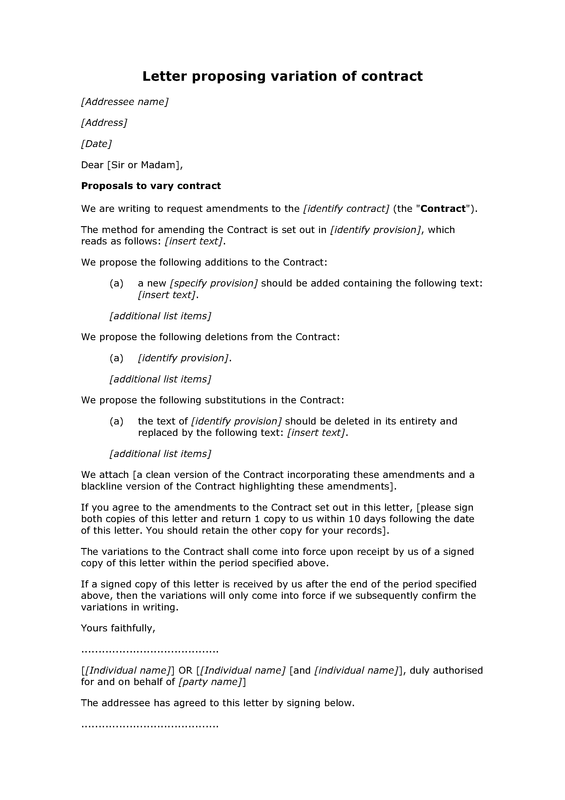 This letter template is designed to assist in the production of a letter from one contracting party to the other party, proposing a change or changes to a subsisting contract. Three different types of changes are catered for by the document: the deletion of contractual provisions, the addition of new contractual provisions, and the substitution of new contractual provisions for old ones. If you have any doubts about how to amend a contract, you should seek legal advice. The contract change letter assumes that variation of the contract requires the written consent of both parties. 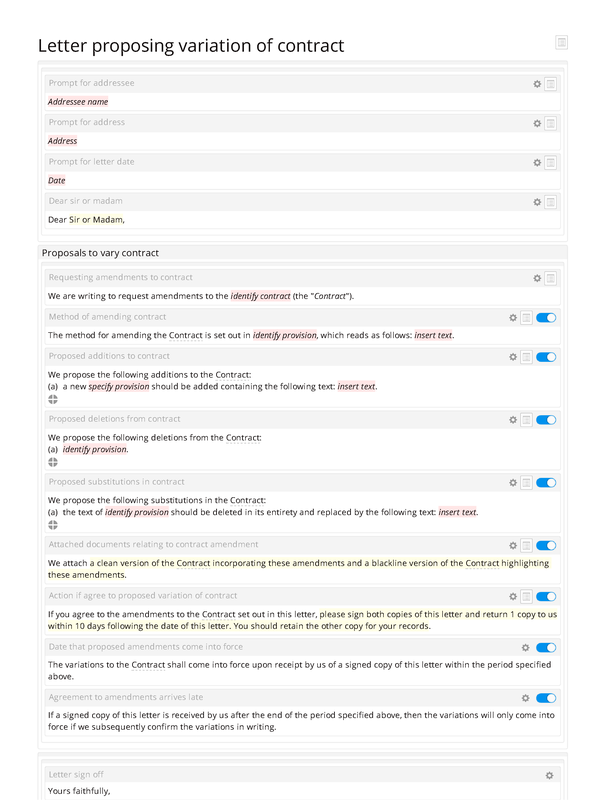 Requesting amendments to contract; method of amending contract; proposed additions to contract; proposed deletions from contract; proposed substitutions in contract; attached documents relating to contract amendment; action if agree to proposed variation of contract; date that proposed amendments come into force; agreement to amendments arrives late.